Marbella is, by itself, an excellent touristic destination. But if something outstands for the MICE industry, is its attractiveness as a destination for incentive travel and in its large hotel capacity, including high quality hotels with suitable spaces for corporate meetings. It has 27 kilometers of beaches among you can find some of the best ones of the province of Malaga: the beach of Artola, the Roman Bridge or the Don Carlos one. The very high hotel capacity, with special importance of the luxury hotels and grand luxury. Hotels ready for the sector M&I with great customer service, quality and facilities. It is city prepared for group’s entertainment and enjoyment: beach clubs are an institution in the city, where there also are a great range of restaurants and nightclubs that put the ideal finishing touch to a meeting day, or that can be the perfect venue perfect for a corporate event. It has a very we preserved historic old town, with its renowned “Plaza de los Naranjos” as the most characteristic spot, around which little streets with a mudejar and renaissance reminiscences are articulated. You can also find shops and restaurants with lots of charm. Well connected with Málaga capital (where is the international airport Pablo Picasso) and the other nearby towns, all of high tourist interest: Casares, and its streets of white houses, the wide beaches of Estepona, the burritos of Mijas Pueblo, the fried fish of Fuengirola, etc. 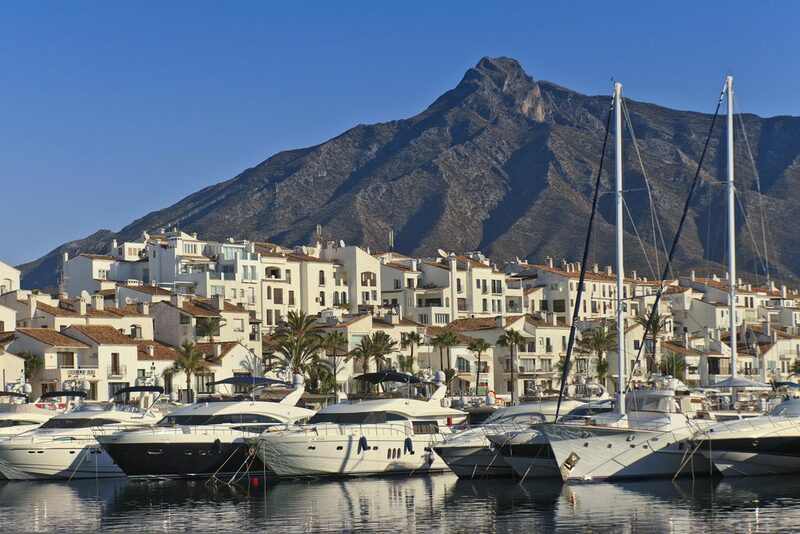 Puerto Banus Port: marina of international renown where you can do shopping in exclusive shops, contemplate expensive cars and feel close to the glamour of places like Monaco, Capri or Saint Tropez. By it all and (though it sounds like a cliché) much more, Marbella is a luxury MICE destination. A trips that will remain in the memories of those who visit it and a decision for companies to hit the mark. Málaga MICE has some of the best ideas to help you organize your trip to Marbella so that your employees never forget it. Are you in?